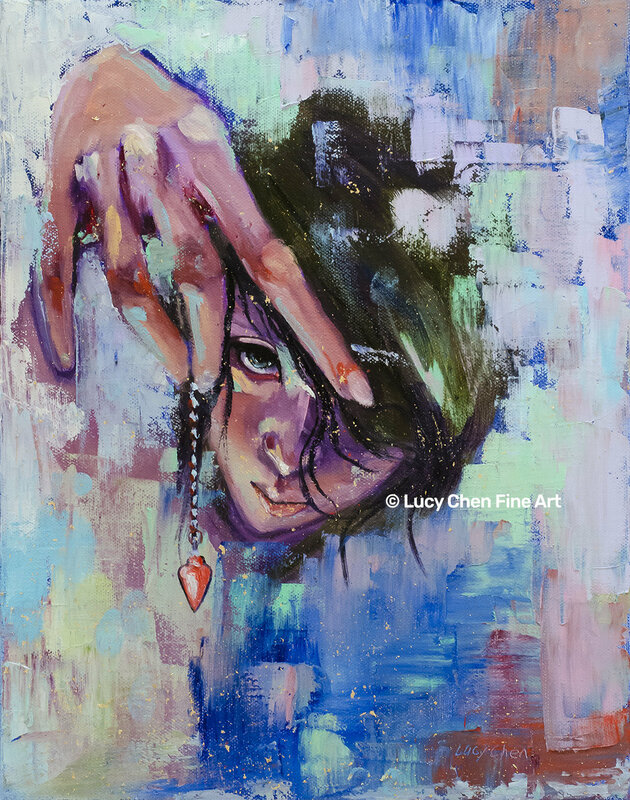 GET IN TOUCH WITH YOUR INTUITION, by Lucy Chen, 14”x11”x1.5”, oil on stretched canvas. Original is available in my store. In last week’s video, I shared with you 5 tips on how to loosen up and paint more expressively. Today’s video is an oil painting time-lapse where you’ll see how I apply some of my own tips to paint this self portrait titled “Get In Touch with Your Intuition”. I have a little guest appearing throughout the video. She made wonderful call-to-action hand gestures, too. Let’s see if you can spot her?